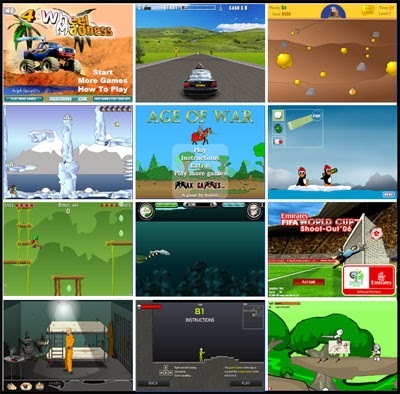 Free flash arcade game archive web site builder/creator/ blogger.com autoblogger script. Make your own gaming empire and start making money online absolutely for free. Convert any free hosted Google’s blogger.com blog to auto updated flash arcade game archive. We all love gaming and want to start our own games websites (but without money) that’s why I made this free script. It does not need any hosting provider (investment) to host your site. Just download the script, create a few blogger.com free blogs (unlimited blogs/ posting supported), edit the setting files with your details, start posting and monetize your sites with ppc (adsense policy supported) or any kind of ads. You can manually run the script or task schedule it to run it automatically to update all of your blogs with unique seo friendly contents at a regular interval. There is nothing to install. Download the script archive file; extract it using 7-zip or winrar. Create few blogger.com blogs with email posting on. Edit "blogger_emails.txt" file with your blogger.com email posting email ids, one per line (sample file given). Edit "gmail_user_pass.txt" file with your gmail.com user name and passwords, one per line separated with "|" (sample file give). These gmail accounts will be used to send mails to your blogs. Optionally edit "number_of_posts.txt" file to set number of posts you want to create per blogs per run. Default is 2. If you are advance user you can change the blogger.com template file with the provided one. Default fixed width templates don’t work fine with games having bigger widths. If any help required please mail us at info [at] boysofts.com. Mail Us.